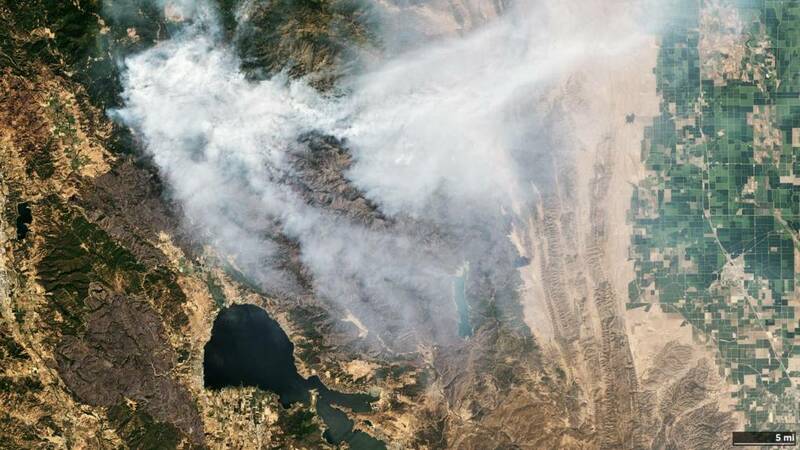 As California firefighters continue to battle more than a dozen blazes throughout the state, wide swaths of smoke sweep across the country, billowing thousands of miles away to move past New York City and out over the Atlantic Ocean. 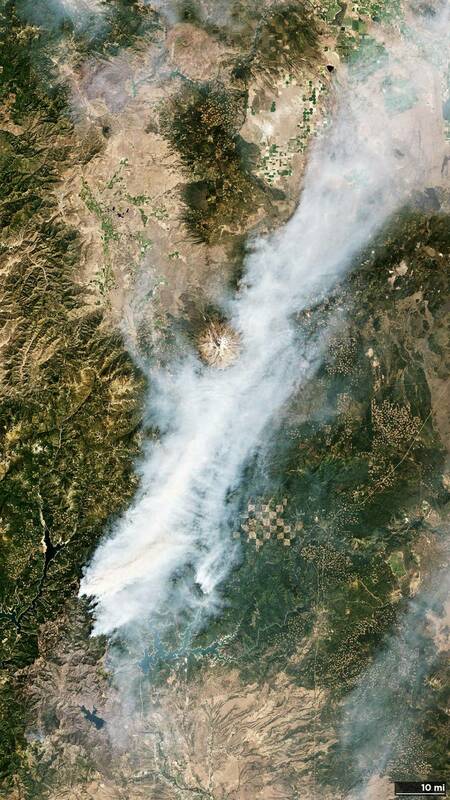 Satellites from Planet captured the vast trails of smoke, including smoke from the largest fire in the state's history, the Mendocino Complex fire. The three-week old Carr fire in Shasta County became the state's eighth largest wildfire on Sunday, the same day the image below was captured. The Carr Fire has scorched 207,162 acres, destroying nearly 1,100 homes and a total of 1,599 structures, making it one of the top 10 most destructive fires in state history. As of Tuesday morning, the fire was 65 percent contained. An estimated date for full containment is not yet known. Meanwhile, the National Weather Service released its own satellite images today showing a layer of smoke from the California wildfires covering several states including Idaho, Montana, Oregon, and Washington. And another image showing the path of the smoke extending out over the Atlantic. The largest fire in California history is made up of two blazes burning through three counties, called the Mendocino Complex Fire. The gargantuan fire has scorched more than 354,000 acres. The Ranch fire claimed its first victim on Monday evening, Utah firefighter Matthew Burchett. Cal Fire crews are constructing fire lines north of the fire to prevent it from reaching some 200 residences in Lake Pillsbury, which is under a mandatory evacuation order. The Ranch Fire, the larger of the twin blazes, has burned through 295,970 acres. The blaze was 68 percent contained as of Tuesday morning, with an estimated date of full containment on September 1. The River fire has been fully contained.